MXenergy Inc engages in supplying natural gas and electricity to commercial and home energy customers in the United States. The MXenergy Company was founded in the year 1999 and has headquarters located in Baltimore, Maryland and has additional offices at Louisville, Stamford. The MXenergy Company serves in areas of Connecticut, Florida, California, Georgia, Illinois, Kentucky, Maryland, Massachusetts, Indiana, Michigan, New York, Ohio, New Jersey, Pennsylvania, and Texas, in the United States and also in Canada. MXenergy Inc runs as a subsidiary of MXEnergy Holdings Inc. The MXenergy Company is an energy star partner and a member of Chicago Climate Exchange. 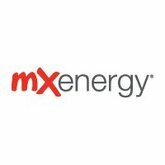 There are currently 0 consumer reviews about MXenergy available. Share your review. Please take a note that you are about to post a public review about MXenergy corporate office on CorporateOffice.com. This review will be public, so please do not post any of your personal information on this website. If you would like to contact the corporate offices of MXenergy, please use their contact information such as their phone number, website, and address listed above to contact them. However, sometimes staff from MXenergy headquarters do read the reviews on this website.